When you understand exactly how to manage your career, you gain enormous control over your future. This is the best place to find all of the newest Career Choice Guide tips, resources and time sensitive information. Get the skills, resources and information you need right here. Continue reading "Is Creative Resume Design Ruining Your Job Search?" Continue reading "Creative Resumes Might Be Keeping You Out of Work"
Continue reading "Applicant Tracking System Series"
It's time to take everything I've covered in the applicant tracking system (ATS) series and pull it all together into a sample resume. Here's your sample ATS resume. Continue reading "ATS Optimized Resume Sample"
An applicant tracking system optimized resume needs to be saved in a very specific way to ensure it is formatted correctly to avoid "choking" the ATS software. Here's how to save your resume to ensure you avoid special characters that the software cannot process, and to ensure you have used the file format the employer requires. Continue reading "Saving an Applicant Tracking System Optimized Resume"
You may know you need to use effective resume keywords to score well in ATS screening. But do you know how to find those important words and phrases? Discover how to research keywords so you can create an ATS optimized resume that scores as well as possible. Continue reading "Researching Resume Keywords for ATS Resumes"
ATS software uses resume keywords and phrases to score your resume, so the better you understand how the ATS interprets keywords, the better equipped you'll be to write a resume that scores well. Creating an effective, keyword rich ATS optimized resume is not a simple matter of stuffing the document with as many words as possible. Here's how to really use keywords effectively on your ATS optimized resume. Continue reading "Demystifying Resume Keywords and Phrases on ATS Resumes"
Applicant tracking systems require very specific resume formatting. This software has some limitations, and if you don't format your resume correctly, it will not be interpreted correctly by the ATS software. Here's how to format your resume for ATS screening. Continue reading "Resume Formatting for Applicant Tracking Systems"
Do You Need an ATS Optimized Resume? You may have heard the hype about ATS optimized resumes. Some experts will tell you that every employer is using applicant tracking systems to screen resumes. The fact is, that is just not true. Here's the first article in a series of six about ATS optimized resumes, with an overview of how this software is used by employers, who actually uses applicant tracking systems, and how to tell if you need to use ATS resumes in your own job search. Continue reading "Do You Need an ATS Optimized Resume?" One of the most common problems people have with writing cover letters is not knowing when to capitalize job titles. Like it or not, employers see your cover letters as a representation of you at your very best, and they infer things about your work habits based on the contents of your cover letters, so they must be pristine. The short answer is almost never. People frequently make the mistake of capitalizing job titles in cover letters when none are needed. Example: Vice President Thomas attended the conference. You won't typically encounter either of those situations when writing a cover letter. At the risk of stating the obvious, most of the time, people are job searching because they are out of work. That means they won't have a job title to attach to the signature line and will just sign off with a name and no job title. However, if you do have a title to include after your name in the signature line, it should be capitalized. This example is typically used only when referring to another person. You would not normally refer to yourself as Vice President Thomas. Your cover letter is all about you, not other people, so this rule is rarely applicable when writing cover letters. Usually, when you mention a job title in a cover letter, you are referring to a job you once held. Example: I worked as a quality control technician for five years. Any time you refer to a job you once had, or a current job, in the body of your cover letter, the job title does not require a capital. Sometimes people incorrectly use capitals on job titles out of pride. They feel their job is important; therefore, it deserves a capital. Other times, people use capitals incorrectly to direct attention to the job title. A capitalized word stands out in the body of a letter more than a word written in all lower case letters, but it is still incorrect. People make the mistake of capitalizing job titles all the time! Granted, some employers won't know this grammar rule and won't penalize you for incorrect capitalization of job titles, but those employers who are aware of the rule might form a negative opinion of you. Employers review so many applications, they will use any reason to exclude someone from being considered for the job. Don't let a stray capital exclude you from a great job! I really, truly don't like functional resumes. I never use them with clients because they just don't work! Take a look at this functional resume example from the point of view of an employer and try to see why hiring managers simply do not trust these resumes. Continue reading "Functional Resume Example"
Here's a quality assurance resume written in the chronological style. This resume format is a good choice for anyone who has a solid work history. Continue reading "Quality Assurance Resume"
High school graduation is just around the corner. That means young people should be job searching! Here's a resume for a recent high school grad. Continue reading "High School Graduate Resume"
This forklift operator resume shows what to do when your most relevant experience is in the past, and the work you are currently doing is not particularly relevant to the job you are seeking. Continue reading "Forklift Operator Resume"
This administrative assistant resume shows you how to structure your work history section if you've worked at a lot of contract jobs through a temporary agency. The trick with showing contract jobs on your resume is you don't want to list a lot of separate short-term jobs because, at a glance, it will look like you've been job jumping. Here's how to show several short term jobs in one longer entry. Continue reading "Administrative Assistant Resume"
Here's a sample retail manager resume for a job seeker who is over 45. Sometimes, when people reach their mid-forties, they start to experience age discrimination when job searching. Of course the impact of age varies from one industry and employer to another. Some are more youth-oriented, while others see age as a real asset. In general, however, 45 is about the time when age might become a factor in your job search. Continue reading "Retail Manager Resume"
This librarian resume shows how to set up your resume if you have a gap in your work history. 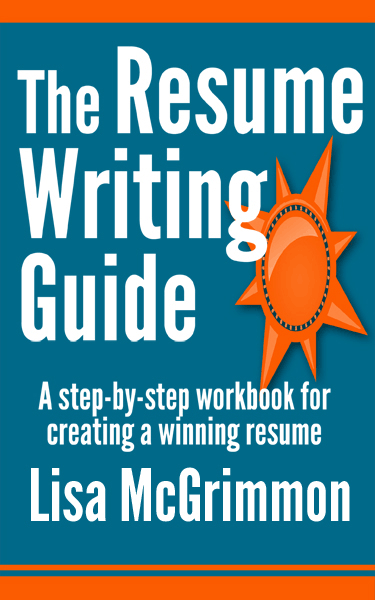 The trick to writing an effective resume if you have a gap in employment is to highlight your skills and experience while minimizing the appearance of the dates. Your most marketable assets should jump off the page, not your dates of employment. Here's how to write a resume if you are a recent college graduate. As a new grad, your education and perhaps internships and volunteer work will probably be the biggest selling factors for employers. Often, employment history is not as strong. Here's how to make the most of your strong points if you are a new graduate looking for work. Here are two more sample combination resumes. Still lots more to come over the next couple of days! In preparation for my upcoming resume writing book, I have lots of new sample resumes to post. When you're employed, you use business cards to network and keep in touch with important contacts. It makes sense that you'd do the same when you are looking for work. In fact, it is even more important for job seekers to meet and keep in touch with important contacts. They are easy to create and inexpensive to purchase. You might even be able to get your business cards for free. Here's how to design and where to buy great personal calling cards for job search networking. How to give a stellar answer to the interview question, "What can you contribute to this company?" Send an Interview Thank You Letter - It's the Easiest Way to Stand Out From Your Competition After an Interview! Sending an after interview thank you letter is hands down the easiest way to boost your chances of getting the job after you've completed a successful interview. It drives me crazy when clients fail to send a thank you note after an interview! The thing is, sending a thank you note makes a great impression on employers, but nobody actually does it. There aren't a lot of spots in the job search process where you can very easily jump ahead of your competition without a lot of effort - This is one of them! Take advantage of the opportunity, and send a great thank you note after your next job interview! At the end of almost every interview, the employer will ask you if you have any questions. You must always ask a couple of questions, even if you think the interviewer has provided all of the information you need because, if you don't ask any questions, you can come across as being uninterested in the job. Here are seven great questions to ask an employer, plus a few questions you should never ask! I love hearing stories about how people go about choosing a career. It's fascinating to me to think about why one person decided to become a fitness instructor, or a chocolatier, when they could just as easily have chosen any number of other jobs. I am often surprised by the role that chance plays in people's career decisions. It's amazing how many people leave this huge decision, which has an enormous impact on their lives, up to chance. Those who take time to think through their career choice to ensure it is a really good fit for their needs are usually happiest, and often most successful in their work. My chocolatier acquaintance is unbelievably obsessed with chocolate, and it shows in his performance and attitude at work. They same is true for my fitness instructor friend (she's obsessed with fitness, not chocolate). If you want to feel that kind of passion and excitement in a career, you need to make some conscious choices and not just let yourself fall into the first job that comes along. Here's how to get started choosing a career that is a great fit for you. Too many job seekers aren't serious enough about writing cover letters that make an impact. The biggest mistake people make is trying to get by with a form letter that they use word for word (or change only slightly) for each job. A cover letter presents the opportunity for you to tell an employer exactly why he or she should hire you without being limited by the structure or a resume. Most employers who read your cover letters will take what you write as a reflection of your ability to communicate effectively, and they will look at the effort you put into the letter as an indication of the level of effort you will likely put into your work. Some employers won't even look at a candidate's resume if the cover letter is weak or nonexistent. Every aspect of your application for a job must be exemplary. Here's how to make sure you write cover letters that are outstanding. You'll use a referral cover letter when someone you know has told you about a job lead. This type of lead provides the absolute best job opportunities. When you get a referral to a job lead from someone, there's a good chance the position hasn't been advertised, so you won't face a lot of competition. Plus, when someone an employer knows recommends you for a job, you automatically increase your odds of being invited to an interview because you have already been given a vote of confidence from someone in the employer's inner-circle. Therefore, with all of these positives working in your favor, you need to make the most of this excellent opportunity! The best way to do that is by writing a great referral cover letter. Click below to find out exactly how to do that. Continue reading "Referral Cover Letter Writing Guide"
Employers sometimes ask some crazy interview questions. If you were a fruit, what type of fruit would you be? And all kinds of other strange questions are asked from time to time in job interviews. A lot of my clients assumed those questions were part of some deep psychological assessment, and their answers revealed some mysterious, hidden part of their personality. Some employers ask these questions to see how you think on your feet, and how you respond to something completely unexpected. Others ask crazy interview questions to cause a bit of stress and see how you react in that type of situation. Now that you know why interviewers ask these questions, read on to find out how to answer these strange interview questions. Looking for a job as a teacher? Here is a sample teacher resume to give you some inspiration and get you started with your own resume. As always, with any sample resumes or cover letters, please be sure to use this for ideas only. It's not in your best interest to copy examples outright. First, if you copy and paste something directly onto a site like LinkedIn and present it as your resume, others may have done the same thing (I have found many almost word for word copies of my resume samples on LinkedIn). Employers will notice if they find multiple identical or near-identical resumes and they will dismiss anyone who has copied because they will assume that is not a true reflection of you. Also many employers will feel that posting a copied resume, sends negative messages about how that person would do their job. Second, your resume should be a reflection of what unique skills, knowledge and experiences you can bring to an employer. A copied sample can't possibly show what is special about you! So go ahead and get some good inspiration, and use it as a springboard to write your own unique resume. Continue reading "Sample Teacher Resume"
The STAR technique is a simple and extremely effective formula for answering behavioral interview questions. A behavioral question asks you to tell a specific story about something that happened at work. Tell me about a time when you worked effectively as a part of a team. They are often more specific based on your industry and the type of job you are seeking, and they normally reflect challenging tasks you would be required to do at the new job. If you know how to answer behavioral interview questions well, they can go a long way to helping you make a great impression on an employer. If you answer them poorly, they can break your chances of getting a job offer. Here's how to use the STAR technique effectively to answer behavioral interview questions.